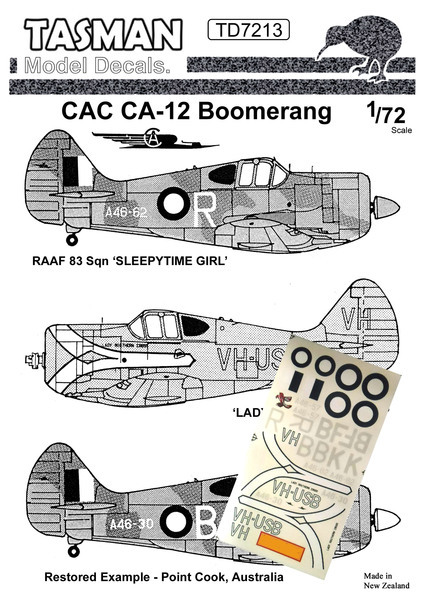 Produced by Tasman this decal sheet features four options including RAAF 'B' A46-30, RAAF 5 Sqn. BF-K A46-57, RAAF 83 Sqn. R A46-62 "Sleepytime Girl" and Australian civilian aircraft VH-USB "Lady Southern Cross".